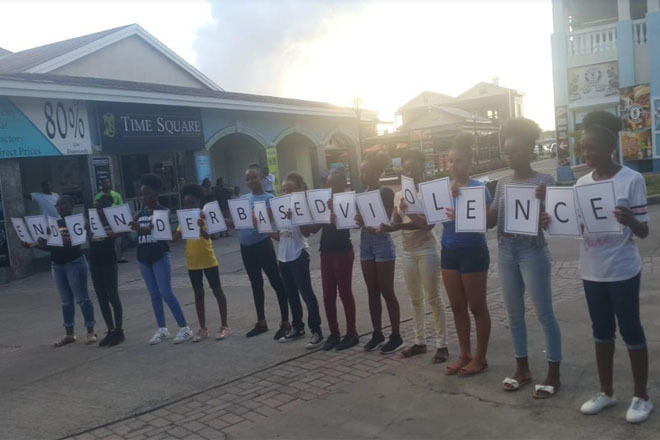 Basseterre came alive on Friday afternoon with a flash mob appearance from the drama club of the Basseterre High School. The flash mob popped up in three different locations; namely Port Zante, Fort Street and the Bay Road. During the flash mob, the students were seen holding placards that read, “End Gender Based Violence’. The flash mob formed part of the Department of Gender Affairs activities organized in observance of the United Nations’ 16 Days of Activism against Gender-based Violence’ campaign.